Is the market dictating your production? 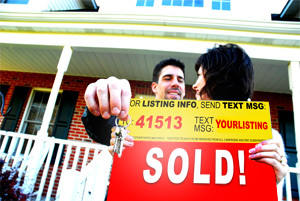 CMSText provides you instant Real Estate Leads with the most cost effective means available! Be able to advertise your Listing instantly to hundreds of Ready Buyers! Don’t wait 2 to 4 weeks until your ad in the home magazine comes out or several days to get your listing in the paper. Within minutes of signing up your new listing, hundreds of solid prospects will be informed and want to have a showing, in most case the same day you signed your listing! The question is… what are your going to do in order to make more money? What are you going to do differently to make more sales? Change brings opportunity – These can be the Best of Times! Don’t let the market dictate to you, when you can dictate the market! Gain the advantage on your competition! Receive more Leads and Sell more than ever before! Cell phone marketing is definitely the most personal and effective method of direct marketing. Its potential is just now being fully realized. Be ahead of your competition by adopting it in your overall marketing strategy. In today’s dynamic and fast-evolving world, it is important to be able to reach your customers anywhere and at any given time. Our unique platform and industry expertise provide the tools and knowledge for your business to open a personalized communication channel with new and existing customers. This method of targeted, permission-based, context-driven marketing has been proven to yield great results! GREEN! No more wasting paper! Every day we throw out countless envelopes and inserts that we never read. Not only does text message marketing reduce waste, your message is also stored on the recipient’s phone! By transitioning to CMSText message marketing, you will be saving the planet while actually helping your business!